Wine might be one of my favorite things. When I started becoming more conscious about eating organic, I had some questions about wine and started doing some research. And let me tell you, it can actually be quite confusing! There are a few different classifications when it comes to natural wine. Hopefully this guide helps you decipher and make better decisions when it comes to buying vino! There’s WHAT in my wine?! Let’s get started with some key terms. USDA certified organic wine means there are no synthetic pesticides, herbicides, fungicides, GMOs, and no added sulfites. The entire fermentation and production process follows USDA regulations. However, this certification can be expensive or hard to get. Often times wine will be organic even without the formal certification. See my other blog post about organic certifications. Organic wine is different than wine made from organically grown grapes. “Organically grown grapes” means just that – the grapes are grown according to the organic standard. But during production, additives can be used, such as sulfites. Biodynamic wine is basically an “elevated” level of certified organic wine, so super pure stuff! Demeter is the organization that certifies these wines. Biodynamic means there are no added chemicals, yeasts, pesticides, GMOs, herbicides, etc. There is a very holistic approach to how these wines are made, including allowing “animals to graze and trim the vegetation and fertilize the soil, instead of introducing man-made interventions” and taking into account phases of the moon and harvesting schedules. I’m not vegan but I was definitely shocked when I found out that a lot of wines actually contain egg whites, gelatin, fish oil, and casein, among a few other animal products. By buying wine that is vegan you can be assured that none of these things were used in the winemaking process! 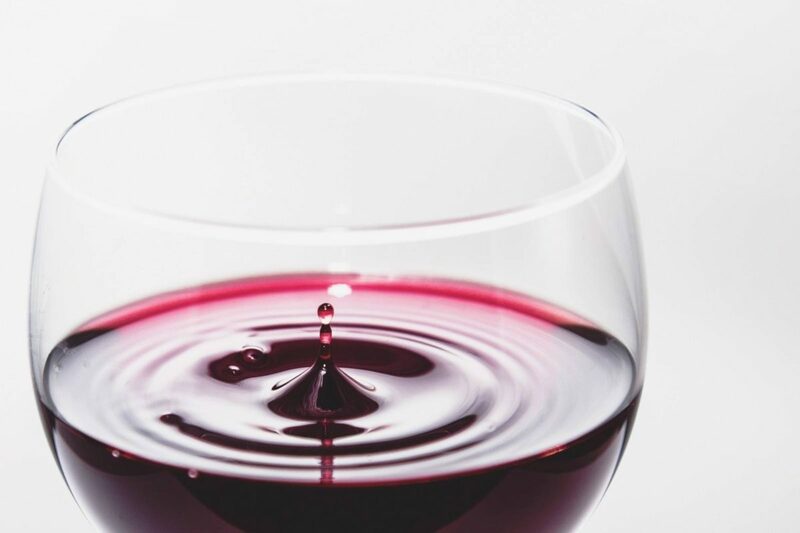 According to the Organic Wine Company, “sulfites in wine are chemicals used as preservatives to prevent browning and discoloration in foods and drinks.” There is a common misconception that sulfites are what cause wine headaches, when actually it is the excess junk and additives that make you feel not-so-great. A very small percentage of people are actually allergic to the sulfites. There is no such thing as wine without sulfites – it occurs naturally during the fermentation process. 100% organic wine CANNOT contain added sulfites. Where Can I Find Organic Wine? When I found out wine clubs were a thing, I was over the moon. When I found out there were ORGANIC wine clubs, I couldn’t even. After looking around and comparing, I found one that best suited what I was looking for. Behold, The Organic Wine Company. All of their wines are made with certified organically grown grapes, and you can also select from ones that are specific to your need (vegan, biodynamic, no added sulfites, etc.). I am part of their wine club which ships 6 bottles to me every 3 months. You can choose from whites, reds, mixes, or just go on their store and buy whatever kind you want. Definitely check them out! I never run out of wine and have liked every single bottle they have sent me so far (but let’s be honest, it’s hard to dislike a wine…). Thrive Market recently launched clean wines too! Their standards are great, including sustainably sourced, low sulfites, no added sugar, organic, etc. Stores like Whole Foods also have some healthy wine options.